The Daily Baguette: Bee Happy ! 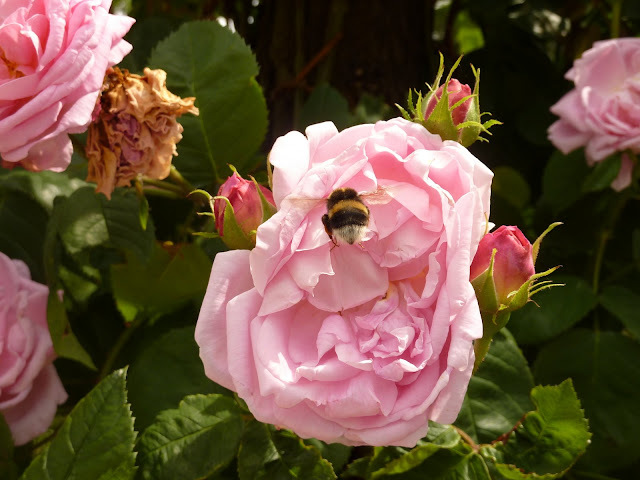 Watching a bee at work this morning in the David Austen roses in our front garden (first photo) reminded me of the photos I took this June in the Jardins de Bagatelle in Paris. 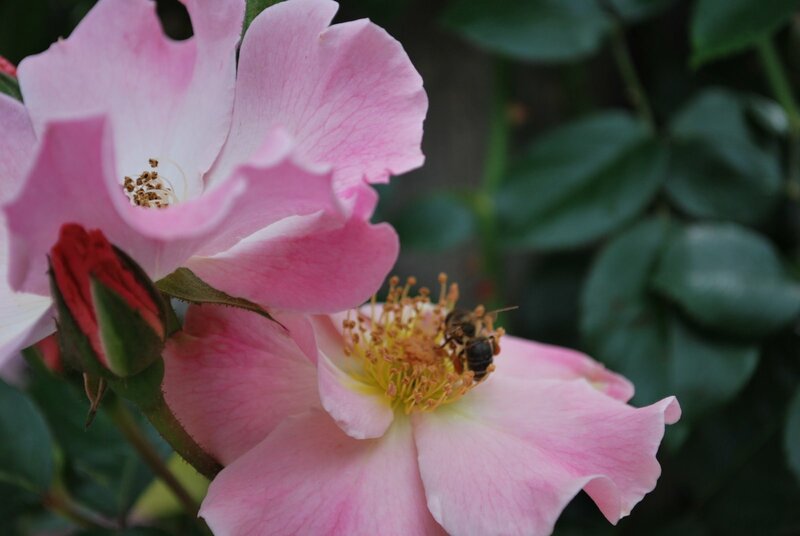 Those French bees sure are bigger than ours !